Sputnik has obtained additional information about WADA’s decision to approve the use of banned substances from 2015 to 2016 released by the hacking collective known as Fancy Bears. Athletes from 14 countries have been included in the latest list of World Anti-doping Agency (WADA) drug test results obtained by the hackers. Leaked papers show WADA’s go-ahead for the use of banned substances on the so-called Therapeutic Use Exemption (TUE). 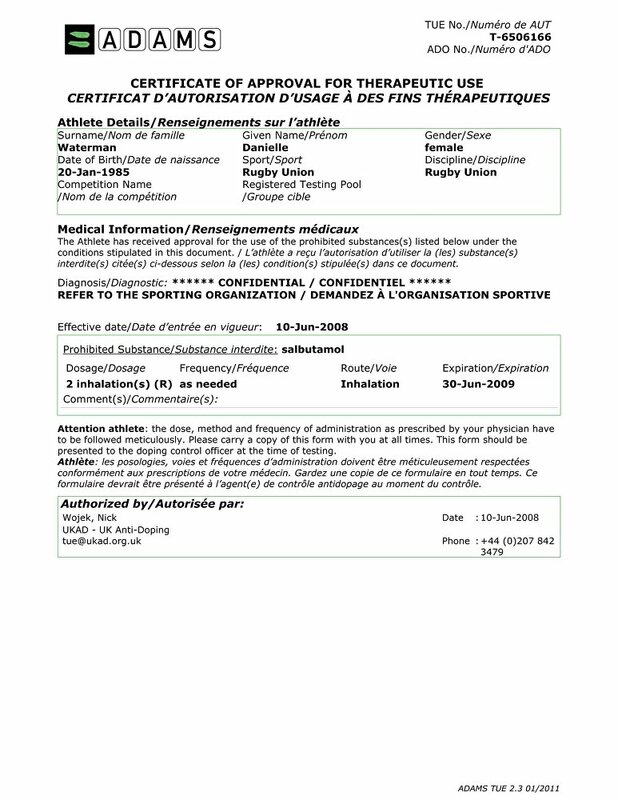 It is an exemption that allows an athlete to use medication that is on WADA’s prohibited substances list, because of an illness or condition. 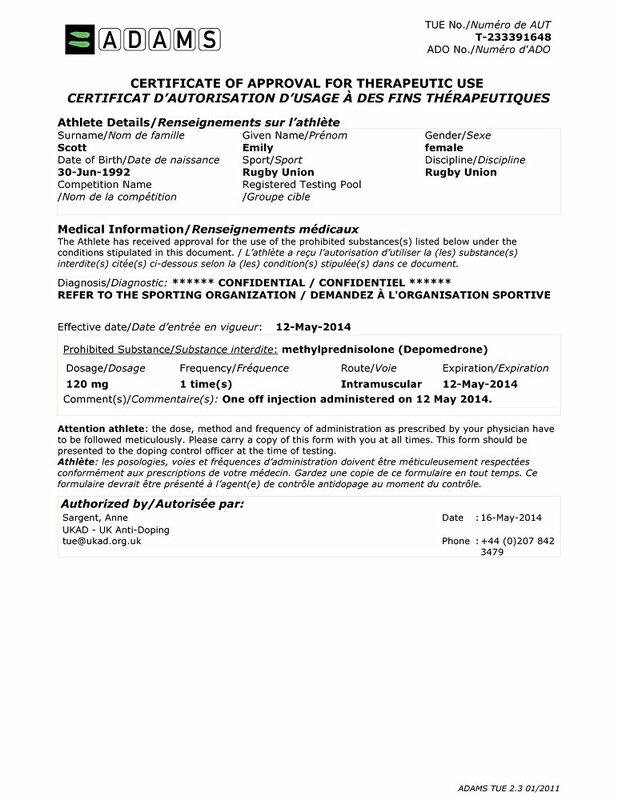 The latest database batch of documents from WADA provided to Sputnik by the Fancy Bears group features the TUEs of British rugby player Emily Scott authorizing the repeated use of prohibited substances triamcinolone acetonide and methylprednisolone (Depomedrone), used to treat allergies, skin conditions, arthritis and ulcerative colitis. Also featured is British sprinter Adam Gemili, 2014 European champion at 200 meter and 4 x 100 meter relay, and a silver medalist in the 100 meter and 4 x 100 meter relay in the 2014 Commonwealth Games, who was officially allowed to use equally banned substances. 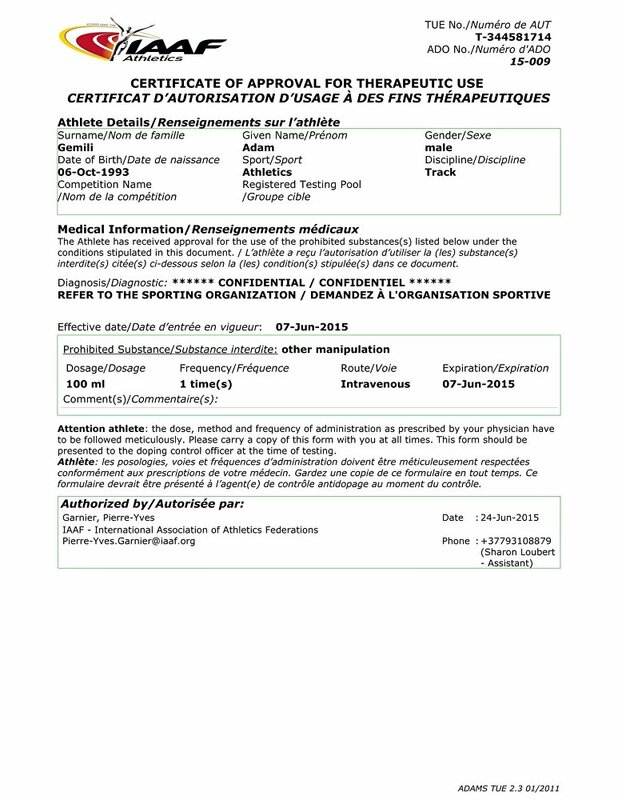 Brazilian mixed martial arts fighter Augusto Mendes, the 2013 world champion and World Pro Jiu Jitsu Cup Champion (2011, 2013), was administered oxycodone/acetaminophen, an opioid, sometimes called a narcotic, used to treat moderate to severe pain and which also happens to be on WADA’s list of banned substances. 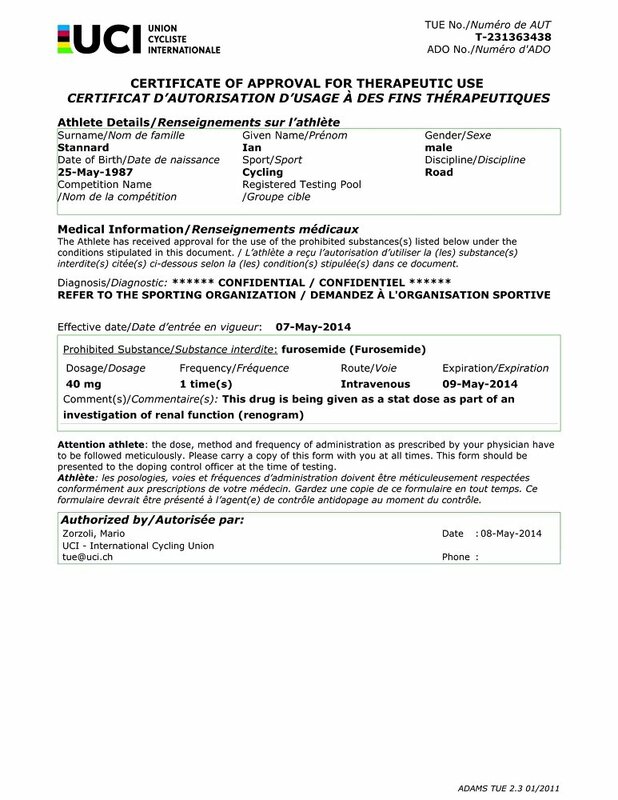 The list of other TUEs obtained by Fancy Bears hackers also includes British slalom canoeist Fiona Pennie, European Champion in 2013 and World Championship silver medalist in 2014, (triamcinolone), British track and road racing cyclist Ian Stannard (furosemide, given as a stat dose as part of an investigation of renal function), British rugby player Danielle Waterman, a multiple Six Nations Championship winner and 2014 world champion (salbutamol, a medication that opens up the medium and large airways in the lungs), British middle-distance runner and 2010 European silver medalist Michael Rimmer, (salbutamol and salmeterol, used in the maintenance and prevention of asthma symptoms). Previously Fancy Bears published documents indicating that more than 100 athletes have been issued TUEs. Including revelations that Serena Williams had taken the banned drugs prednisone, prednisolone, methylprednisone, hydromorphone and oxycodone between 2010 and 2015, while Simone Biles was given permission by WADA to use methylphenidate for attention-deficit disorder and Bradley Wiggins was given the powerful corticosteroid triamcinolone before the 2011 and 2012 Tour de France and the 2013 Giro D’Italia cycling tournaments. Australian Olympic swimming gold medalist Emily Seebohm was also named as having used illicit substance prednisolone in May 2009. Three US Olympians — Brian Baker, Monica Aksamit, and Rajeev Ram — were likewise named. 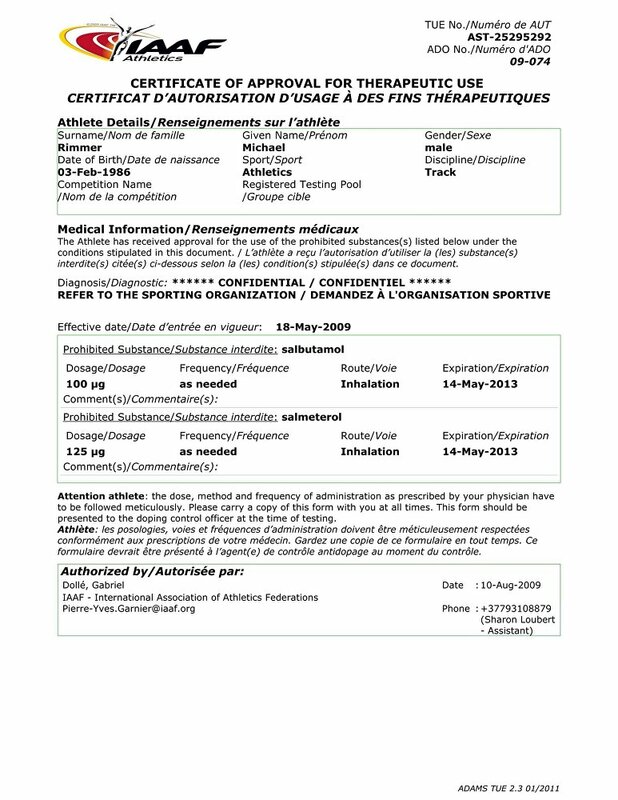 Therapeutic Use Exemption (TUE) in 2009 for the use of betamethasone and in 2012 he used corticotrophins. Alexandra Mary L. Danson, who is an English field hockey forward and won gold medal in Rio 2016, was also on the list. 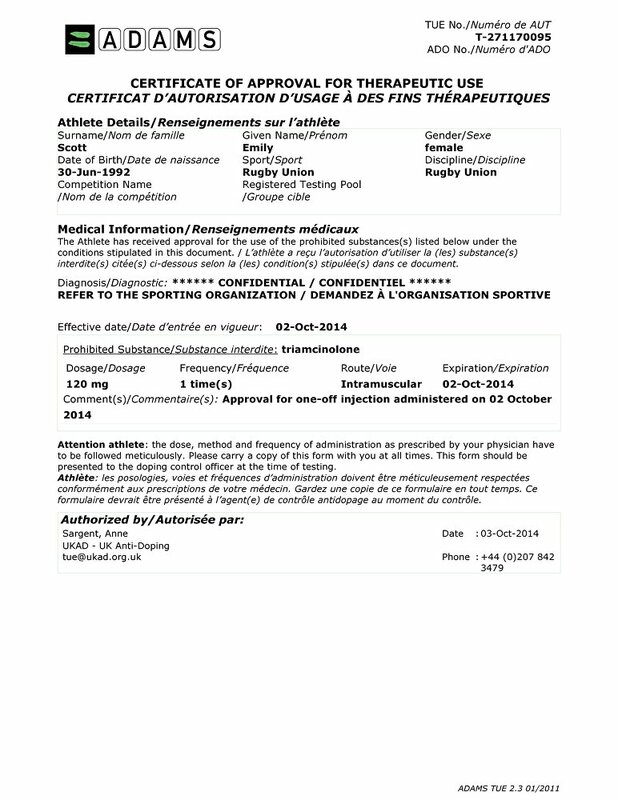 In 2008, she received a TUE for salbutamol, salmeterol, fluticasone propionate and methylprednisolone. WADA insisted, however, that in all cases the athletes had been granted TUEs by the relevant international sports federations and national anti-doping organizations and that no wrongdoing had occurred. These leaks also raise the question of how exactly these substances can improve an athlete’s performance and whether these doctors might be issuing them to influence their athlete’s stamina/performance. 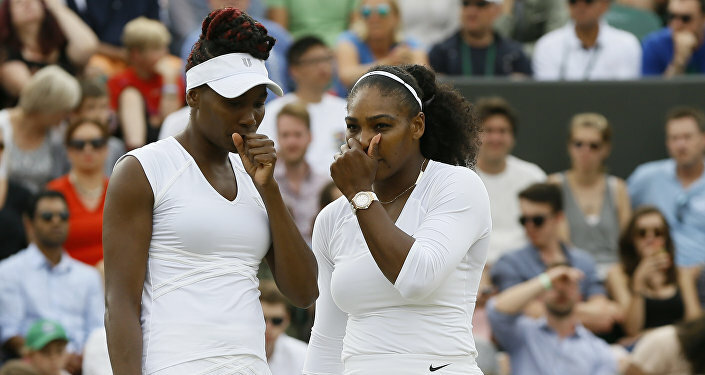 Earlier, the Times and The Guardian already wrote articles, which contain some of the information obtained by the Fancy Bears group, including the TUE’s of 29 athletes, among them US tennis champion Serena Williams, US gold medal-winning artistic gymnast Simone Biles, British professional road and track racing cyclist Bradley Wiggins and British professional road racing cyclist Chris Froome. The latest and previous revelations by the Fancy Bears hacking group lay bare the anti-Russian bias and double standards used by WADA, whose report, based on the results of its investigation into allegations that dozens of Russian athletes used performance-enhancing drugs at the 2014 Winter Olympics, all but prevented Team Russia from taking part in the 2016 Rio Olympics. Many independent-minded people worldwide then wondered why the Russians were the only victims of these draconian measures, while athletes from many other countries had likewise been caught using illegal stimulants and were still allowed to go to Rio. The Fancy Bears leaks bring the issue of TUEs into the open and underscore the need for more transparency about their use worldwide. This whole system of medical exemptions needs to be closely monitored to make sure that they are applied properly and that athletes, no matter where they come from, are treated on an equal and fair basis.